I love referrals – you might know that already because I write about referral generation all of the time. If fact, I wrote a book on the topic. But today, I have the pleasure of introducing you to my guests for this week’s episode of the Duct Tape Marketing Podcast – Rosie Taylor, Kelly Weppler-Hernandez, and Dawn Westerberg, who along with Debbie DeChambeau, Jeff Stec, and Ray Perry, co-authored the book Renewable Referrals. 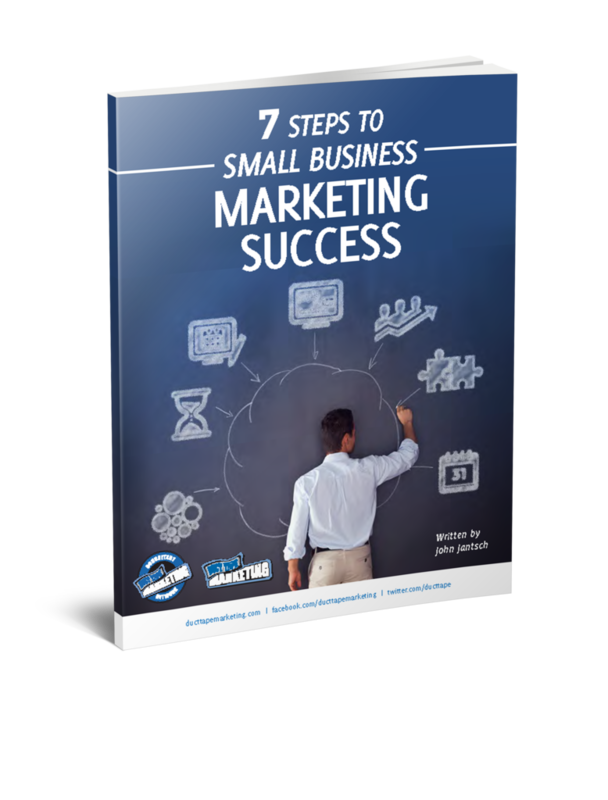 The book was written by this group of independent marketing consultants who also happen to be members of the Duct Tape Marketing Consultant Network. The collaborative nature of how the book was created is in itself a ringing endorsement of one of the book primary messages. Renewable Referrals serves as a great reminder of the importance of referral generation while introducing hundreds of ideas about how to systematically generate more referrals. Perhaps my favorite thing about the book though is the emphasis on building strategic referral relationships with like minded businesses. I’ve long advocated this approach as the single most potent way to generate a steady stream of referrals. Just one idea that allows you to amplify your referral efforts will make your investment a pretty wise move. 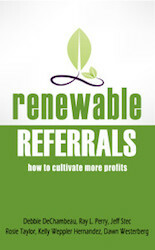 You can grab a copy of Renewable Referrals here.